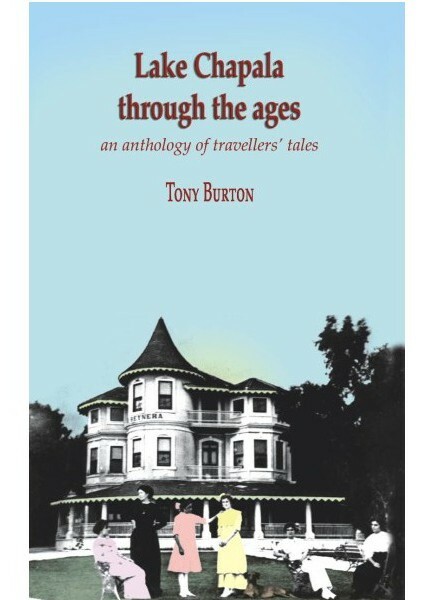 The much-lauded “Lake Chapala Through the Ages: an anthology of travellers’ tales” is available as a regular print book, and in a Kindle edition. The book was chosen by Ellaine Halleck for the Guadalajara Reporter newspaper in 2013 as one of the 15 best books about Mexican history. Join award-winning author Tony Burton as he explores the fascinating history of the Lake Chapala region’s formative years from the arrival of conquistadors in the early 1500s to the start of the Mexican Revolution in 1910. Insightful and entertaining commentary enhances this unique collection of extracts from more than fifty original sources. Poets, friars, travellers, exiles and scientists overcome bandits and natural disasters to offer captivating tales of courage, greed, delight, unexpected triumphs and much, much more. xiv+215 pages, with map, more than twenty original illustrations, glossary, bibliographic references and index. Illustrated by Rosemary Chan. Published by Sombrero Books, 2008.